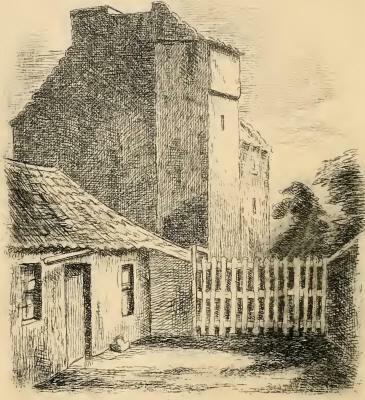 General view of Tranent—its antiquity and peculiar position on a crust—its old customs—how its inhabitants have at times asserted their rights, and how they have occasionally been robbed of them. The way coal-pits were worked in the olden time, and the enslaved condition of the miners—how slavery in Scotland appeared to people at the time. David Seton, of Tranent, through ignorance, or more probably to curry favour with the weak and superstitious King, accuses his servant maid of witchcraft, and by means of torture gets her to confess that she and thirty confederates had been engaged in a plot for the destruction of his Majesty and his Danish bride, which confession eventually results in 17,000 people in Scotland being burned at the stake, and Lord Seton is created Earl of Winton—Shakespeare and Burns, as appears from their works, were acquainted with the trials of the Tranent witches—John Kincaid, the witch finder, resides in Tranent—Ministers of the Gospel, blind leaders of the blind, were the firmest believers in witchcraft, and the most merciless persecutors of the poor wretches who were suspected of that impossible crime—the appalling consequences which even the true Religion leads poor mortals into, when it is allowed to take the bit between its teeth, and to throw Reason over its head. The Battle of Prestonpans, showing the extraordinary power of ‘ sentiment ’ when of the genuine and not the simulated kind. The state of Scotland circa 1797, when Dundas was Dictator —the reason why the Scotch, a warlike people, were so averse to the Militia Act—Riots in Tranent and massacre. Stiell’s Hospital—Dr. Caesar takes the helm, and sets off on a voyage which Stiell never dreamt of—the Doctor obtains a crew of Trustees, and tries to erase the name from the stern and head boards; but “Charity School” shines through the paint, although put on an inch thick.